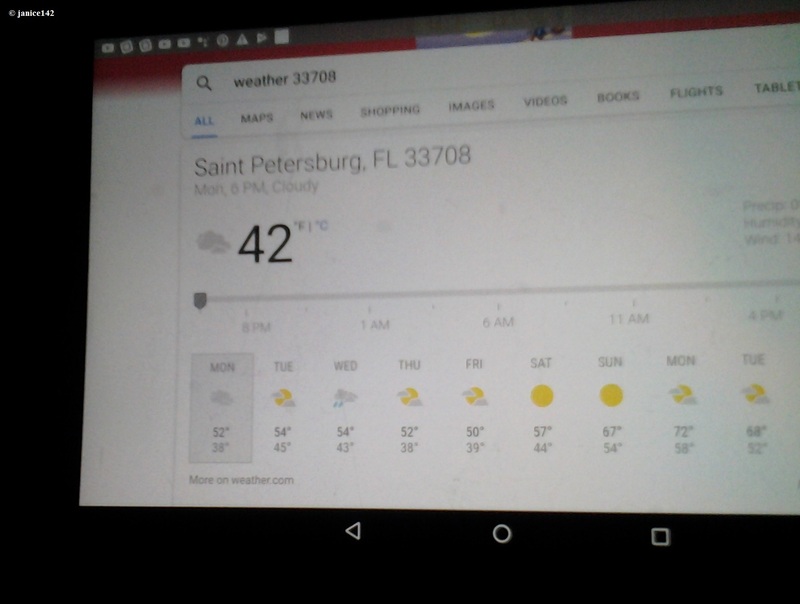 It has been cold here in St. Pete. Even the water temperatures have dipped. The consequence is that fish are coming to the surface. 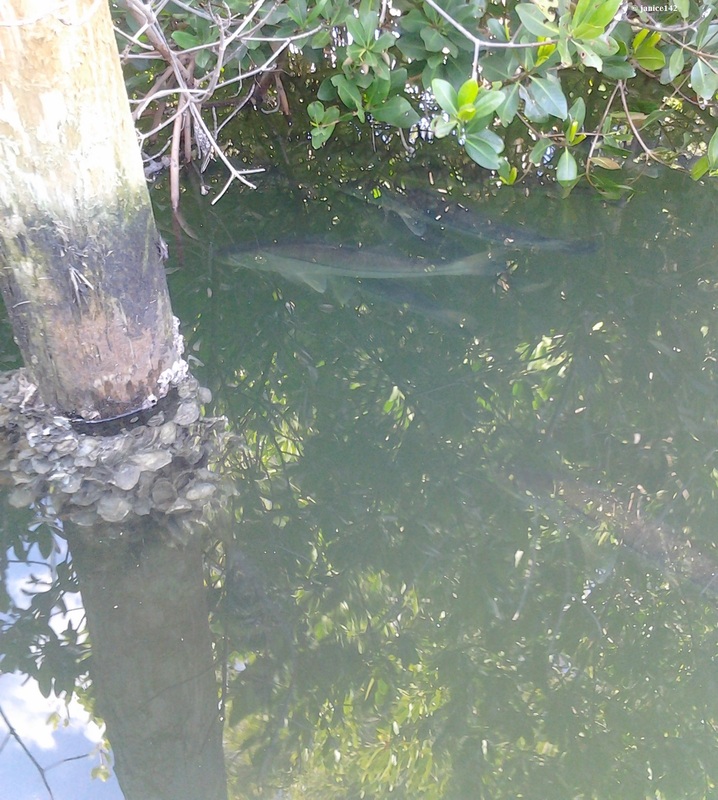 Of late, snook have been spotted. Often when one says "the fish was THIS BIG" the statement is met with skepticism. Well, I have proof. Those of us who dive know that the further deep we go the cooler the water. 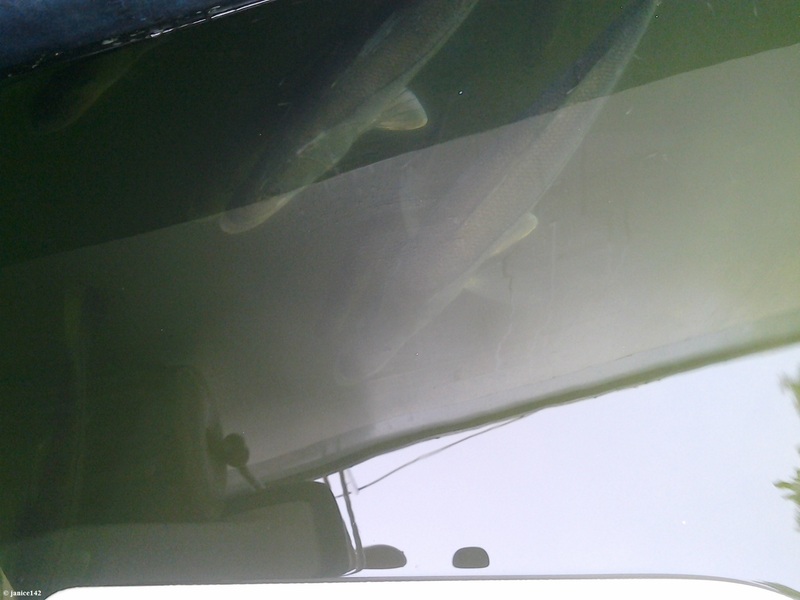 Bottom dwelling fish will come to the surface when water temperatures are colder than normal. I've seen mullet almost lethargic during extreme cold snaps. Chilly of late, I have been inside enjoying the luxuries of an electric power cord at this dock by the mangroves. The wildlife is interesting too. 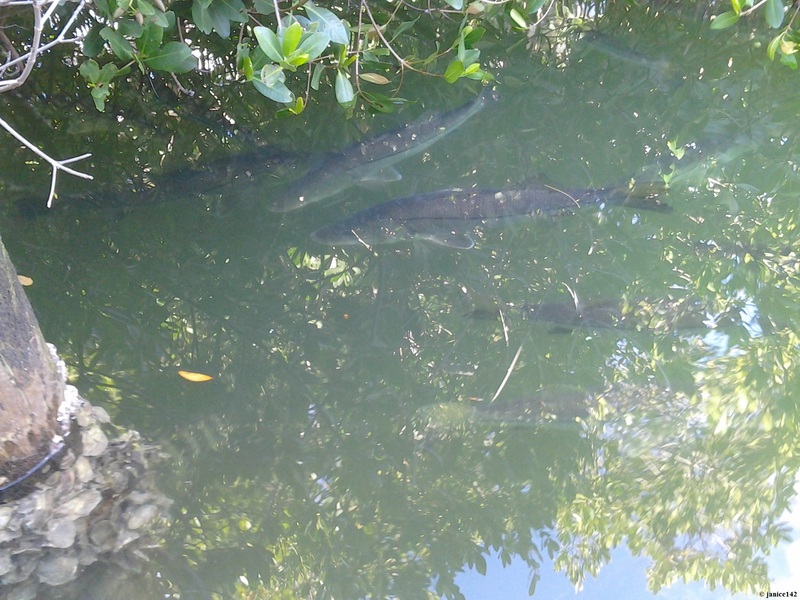 A school of snook have been resting by the mangroves. 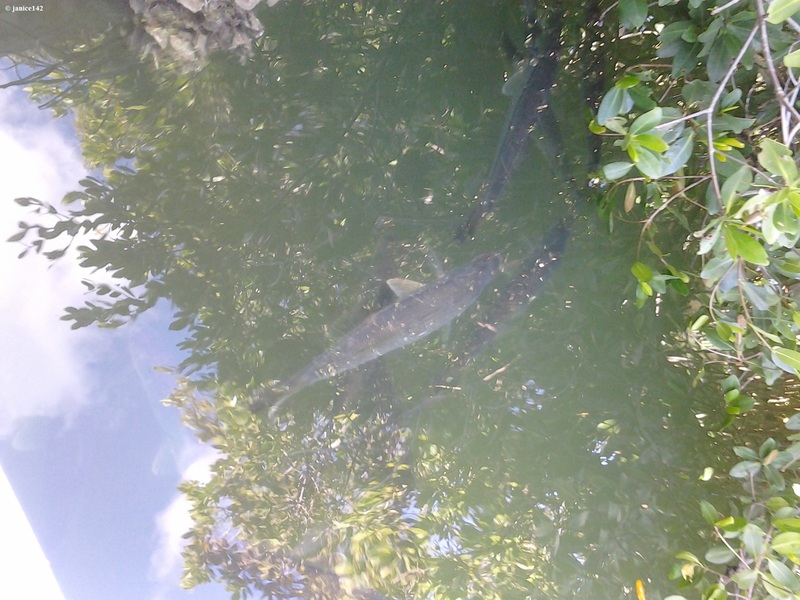 The baby is about 18" long while most are about 3'. 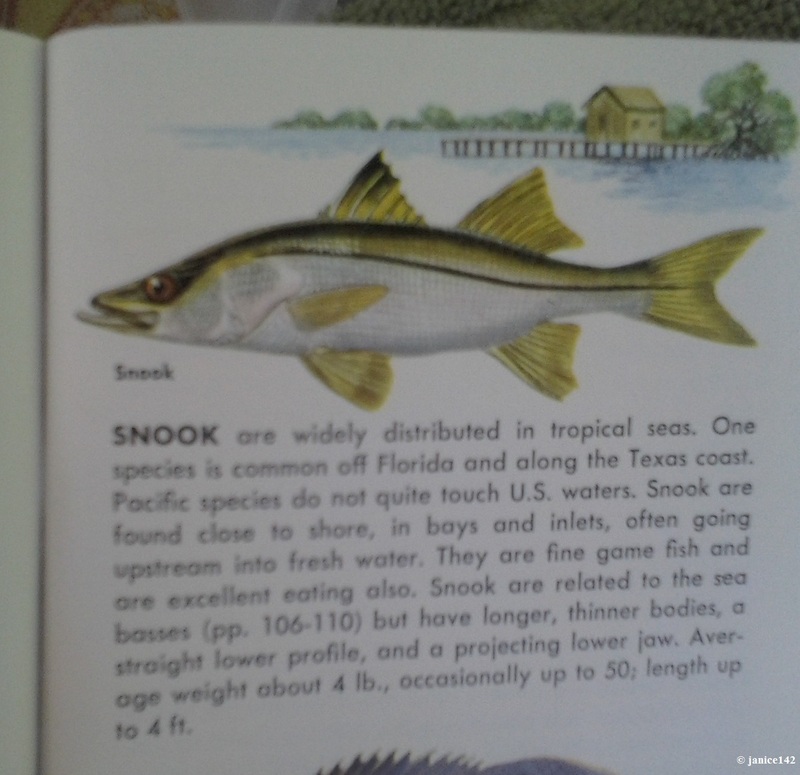 My Golden Guide to Fishes has Snook listed on page 111. Side Note: I have a Golden Guide titled Fishes that I find useful when I want to identify what specific fish I'm seeing. This is my copy. Newer versions have different covers. I've checked. It matters not what edition you buy. The content is exactly the same. What does happen is the glue in older versions dries out. My binding is fraying too. 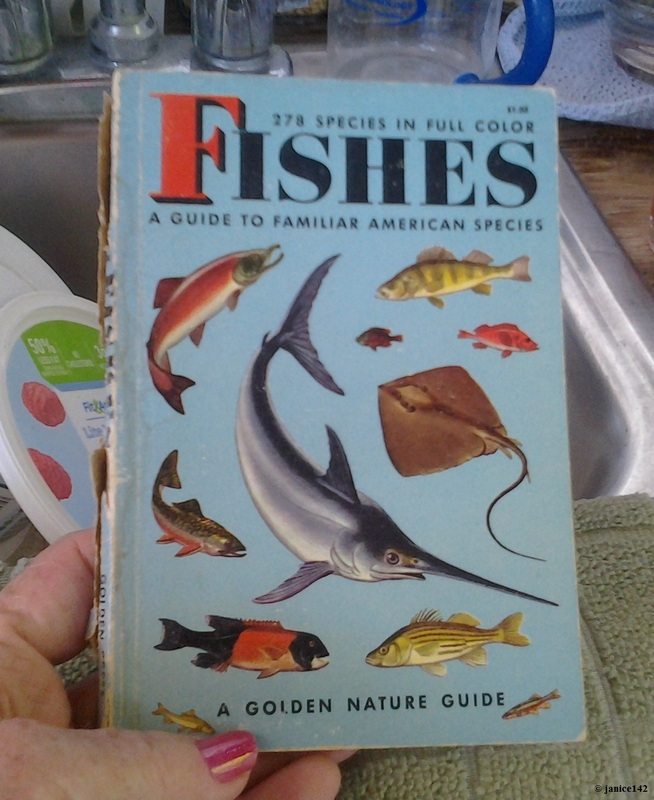 It should be noted that this Fishes is the 1955 edition. Fishes is a useful reference in my boat library. is a-okay in my book. Including myself! The fish on the right has a 3" gash in her side just behind her fin. That is the back of my swim platform ↑ at the bottom of this picture. The fish are CLOSE. 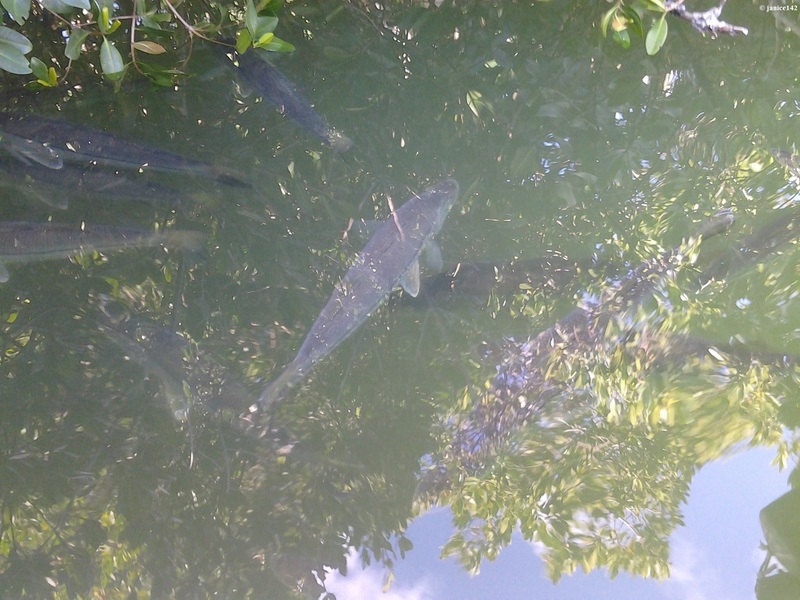 The snook have been simply floating, not really swimming around. They stay in virtually one place. These fish hold their position and only flee when something splashes nearby. 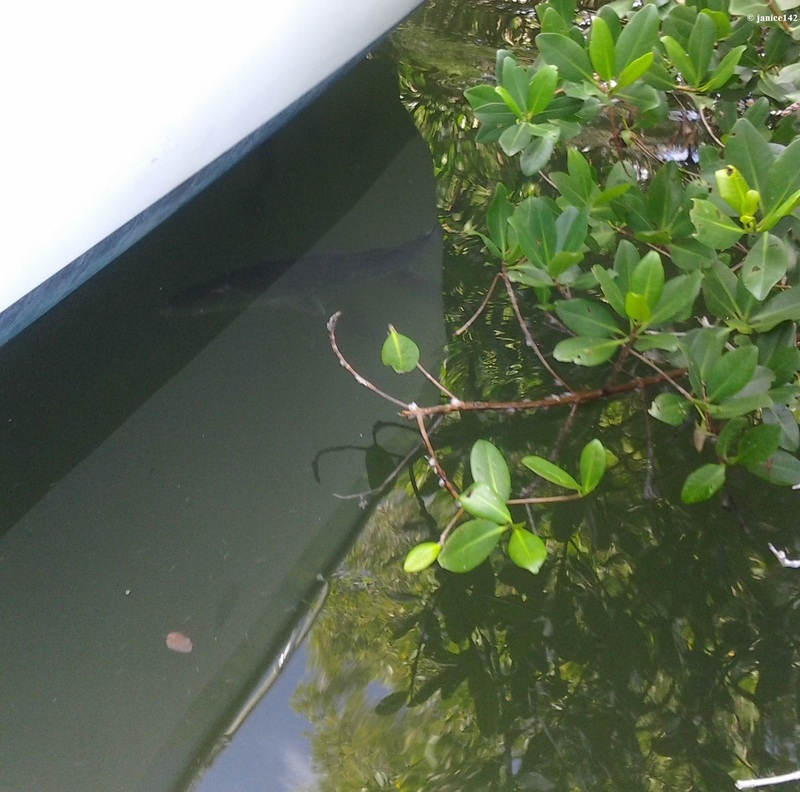 I do admit that watching the snook congregate behind my Seaweed and under the mangroves has been quite an experience. This is what boating's all about. I enjoy watching the wildlife around me. fortunate to have the perfect vehicle for doing so: Seaweed! The weather warmed up a bit and the fish disappeared. Still it gives me pause to wonder what other denizens of the deep live in this small corner of paradise. Wish you were here. Happy boating! Have you seen out-of-the-ordinary behavior from local wildlife now that the winter is here? And, do you take pictures of the oddities? A favorite aphorism: I think I fish, in part, because it’s an anti-social, bohemian business that, when gone about properly, puts you forever outside the mainstream culture without actually landing you in an institution. John Gierach.